2. Begin browning the ground beef in 2 Tbsp olive oil over a medium-high heat. Keep the ground beef in larger crumbles so it will be easier to scoop. 3. While the beef is browning combine the cream cheese, donair sauce and mozzarella cheese in a bowl. 4. Once the beef begins to brown, add in the oregano, paprika, & garlic paste. Continue to fry for 1 minute. 5. Transfer the beef with a slotted spoon (to remove any excess fat) into the bowl with the cream cheese mixture. Stir to combine. 6. Place the beef mixture into an oven-safe serving dish and bake for 15 minutes or until golden and bubbly. 7. 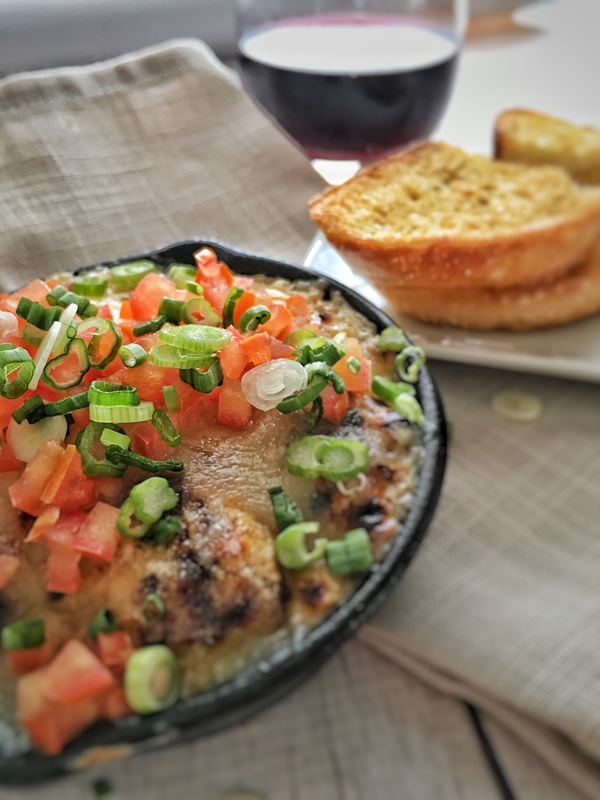 Garnish with green onion and tomato and serve immediately. Place avocado & jalapenos into a mixing bowl. Add lime zest & juice, Maroun’s garlic spread, cumin, and salt & black pepper; mash mixture with a fork until smooth. Place into a serving bowl and serve with taco chips, pita bread or as an accompaniment to your favourite foods. 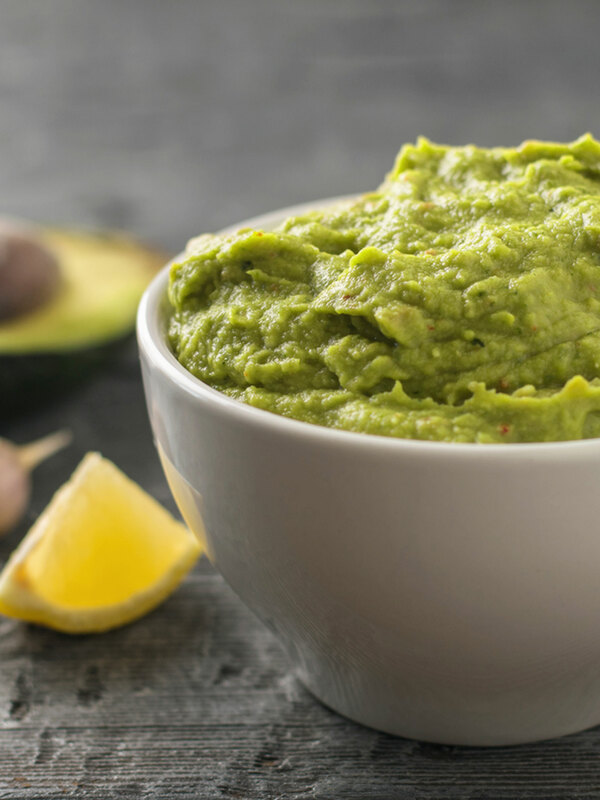 Guacamole is easy to prepare and can be eaten for breakfast, lunch, dinner or as a snack. Guacamole is best made and eaten right away. If making ahead; cover tightly plastic wrap directly against the guacamole to preventing the avocado from turning brown. Make guacamole using any citrus juice or try roasting the jalapeno’s before mincing. In a large bowl, combine Maroun’s garlic spread, olive oil, paprika, salt & pepper; mix well to combine. Add cooked potatoes & green onions; mix well to combine. 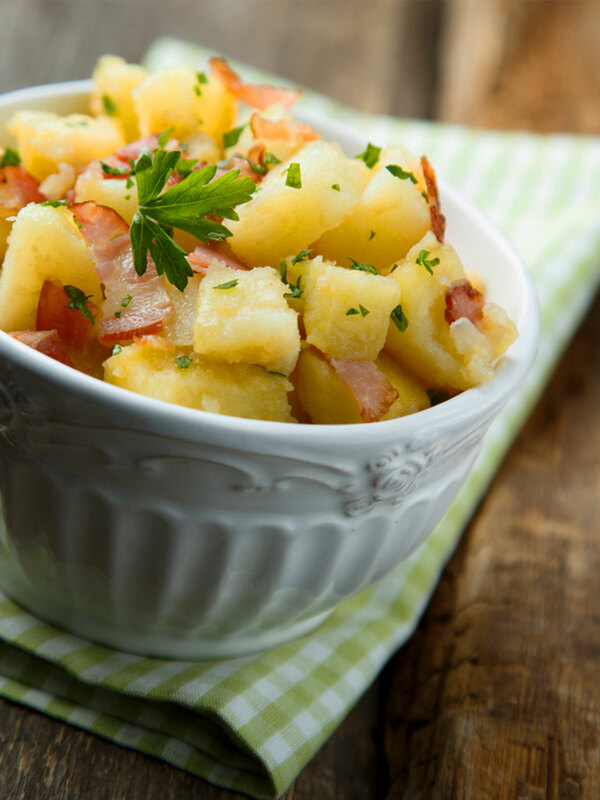 Cover potato salad and refrigerate for an hour or up to 1-day before serving. Serve as a side dish with your favourite meat or seafood. Grill potato halves & green onions before tossing with dressing for a summer twist. In a medium bowl, combine shallots, jalapeno, Maroun’s garlic spread, red wine vinegar, and salt & pepper. Fold in cilantro, parsley, and oregano. Using a fork, whisk in oil, stirring well to combine*. 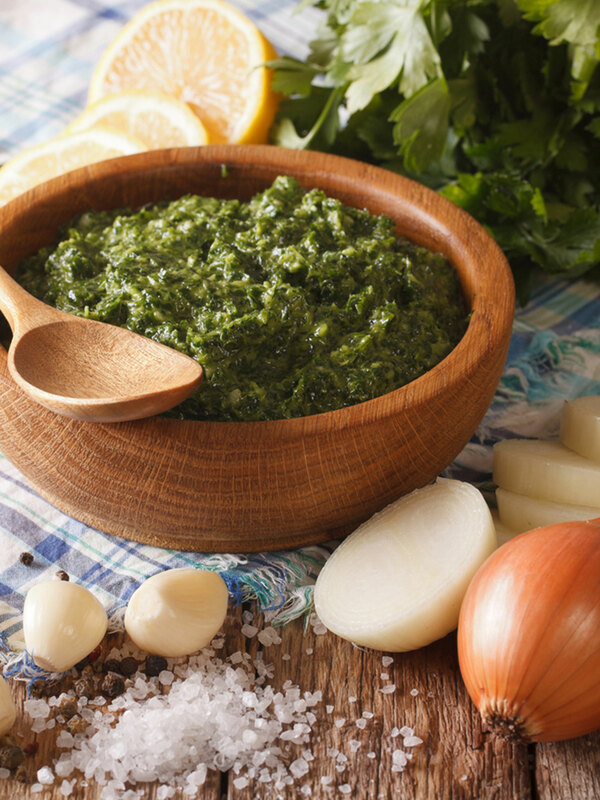 Use immediately or refrigerate chimichurri until ready to use. Cook meat, fish or vegetables to desired doneness; slice and place onto a plate or serving platter. Use chimichurri as a marinade - Place meat or fish in a glass or ceramic dish. Cover with half of the chimichurri (reserve remainder). Cover dish and chill for 3 hours or up to overnight. 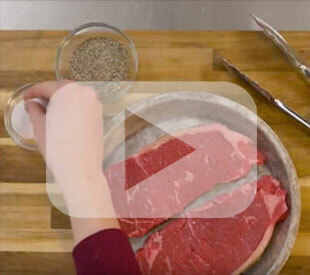 Remove meat/fish from marinade, pat dry, and cook to desired doneness. Spoon reserved chimichurri over grilled meat. If desired, follow the same method using a blender to chop & mix ingredients. Place rye bread on cutting board; spread both sides of bread with Maroun’s garlic spread. Top with pastrami. Close sandwich and cut in half. Place bagel halves on cutting board; spread both sides of bread with Maroun’s garlic spread. 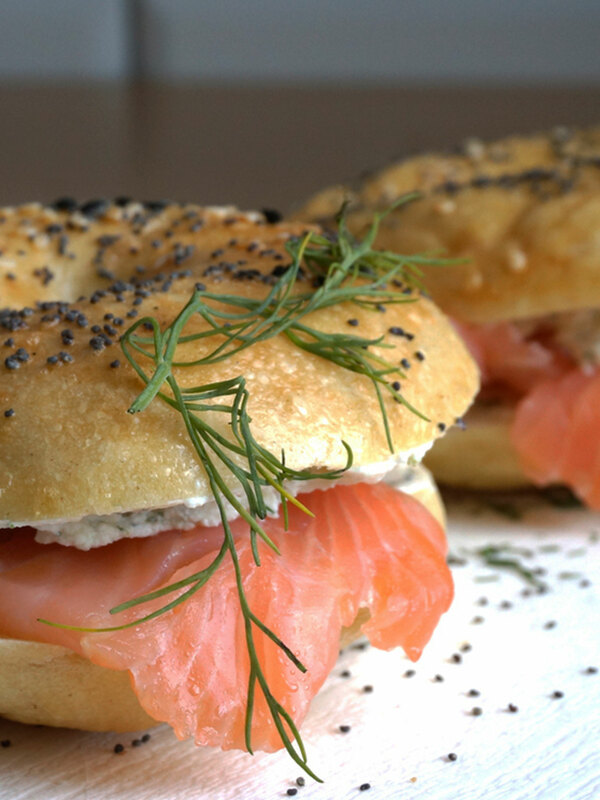 Layer candied salmon on top of each bagel. Garnish with lemon zest & fresh dill. Replace candied salmon with cold smoked salmon if desired. Add chickpeas, celery, cranberries, walnuts, and stir to combine. 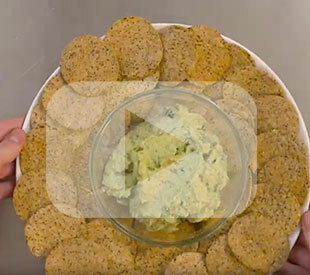 Place toast on a plate; top with chickpea salad and serve. If desired, refrigerate chickpea salad until ready to serve. Try adding chopped apples or pears to the mixture. Make chickpea salad sandwiches with pita bread or use Boston bibb lettuce or romaine lettuce for a gluten free alternative.